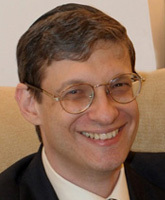 Yoram Hazony is President of the Herzl Institute. His books include The Virtue of Nationalism, The Philosophy of Hebrew Scripture, and The Jewish State: The Struggle for Israel’s Soul. Hazony is Director of the John Templeton Foundation’s project in Jewish Philosophical Theology. His writings on philosophy, Bible, and political theory appear frequently in theWall Street Journal, American Affairs, National Review and other publications. He holds a B.A. in East Asian Studies from Princeton University and a Ph.D. in Political Theory from Rutgers University.